Letter from NYC: #590. The Popemobile is a Fiat!? 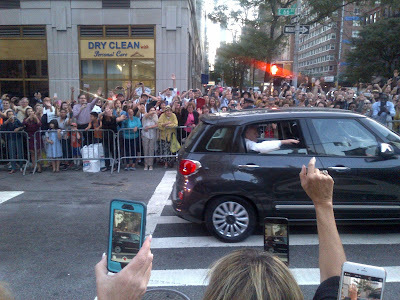 Pope Francis arrived in New York City this afternoon and He and His entourage are staying nearby, on 72nd street between Madison & 5th. 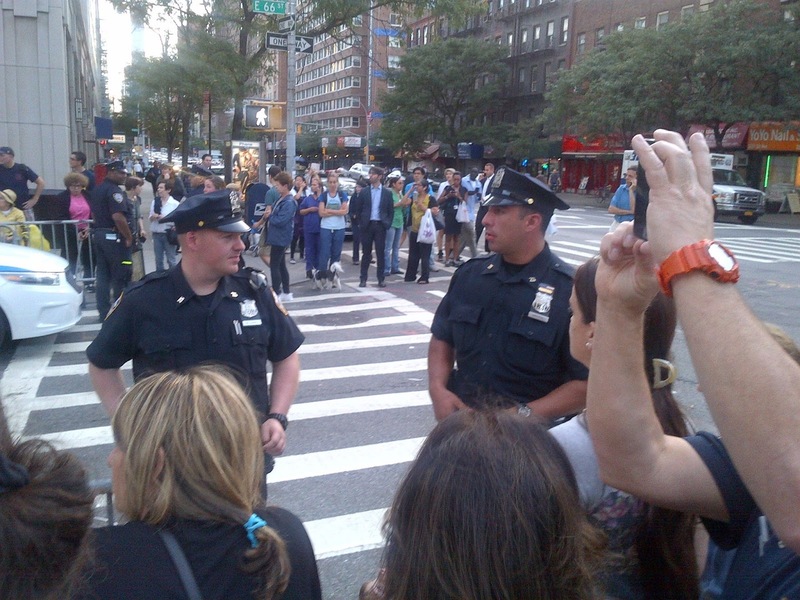 His route from the airport passed by MSKCC and we saw him on the corner of 66th & 1st. We were expecting either a grand, shiny white Popemobile or else some heavily fortified Escalade, but there He was, riding in the back seat of a late model Fiat sedan with window wound down and waving to the crowd. What a cool dude. But the Upper east Side is not the only "nabe" (NY slang for neighbourhood) being affected and it really is "Fortress Manhattan" with police, barricades, flashing lights and buzzing helicopters everywhere. FYI, on Friday, September 25, the Pope will: · Address the General Assembly at the United Nations at 8:30 am · Visit the 9/11 Memorial and Museum at 11:30 am · Visit a school in East Harlem at 4:00 pm · Travel via motorcade through Central Park and along Central Park West between 72nd and 60th Streets to greet New Yorkers between 4:00 and 6:00 pm. · Deliver mass at Madison Square Garden at 6:00 pm. On September 25, there will be sporadic closures of East 66th Street to accommodate the pope’s motorcade.